(2005) Luis Rico Guiterrez, et al. The Centre Avenue Food project addresses the critical need for fresh food in Pittsburgh’s Hill District, an inner city African American neighborhood that has lacked a local grocery store since 1987. As a result, residents are forced to spend extra time and money to commute to grocery stores outside the neighborhood or choose from the limited selection of foods at local convenience stores. Centre Food offers a new approach to this long-standing problem through a full-service grocery store model distinguished by a LEED-certified environmental design, a strong network of community partnerships and outreach, and a business model that allows for the reinvestment of profits in the community. 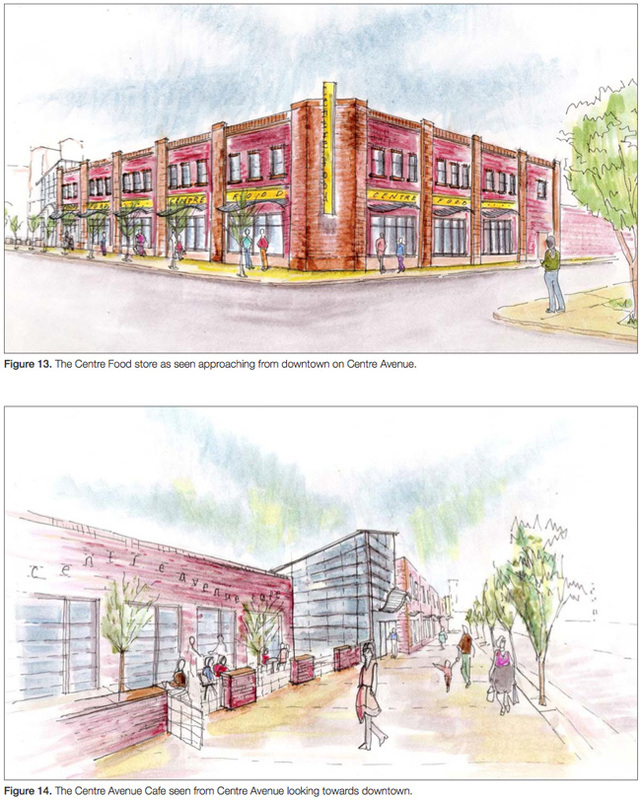 The long-term of goal of the project is to establish a sustainable community food source that will act as a catalyst for the commercial revitalization of Centre Avenue, the Hill District’s main commercial corridor. This project is a result of collaboration between the Hill District’s premier social service agency, Hill House Association, the Urban Laboratory in the School of Architecture, the Heinz School of Public Policy and the Tepper School of Business. With advisement from Luis Rico Guiterrez and other faculty, Renee Roy and an interdisciplinary team of CMU students completed a market need study, schematic building design and financial plan for Centre Food as part of Carnegie Mellon’s top-winning submission to the 2005 JP Morgan Chase Community Development competition. As Project Director and Associate Fellow at the STUDIO, Luis Rico-Gutierrez and Renee Roy are working with Hill House Association to carry out further research, design studies and project development.